I love to use this next quote for truck driving safety material. It has to be one of the most valuable tips I ever learned. Think about this for a minute. A typical passenger car driver usually travels about 20,000 kms/year (12,500 miles). 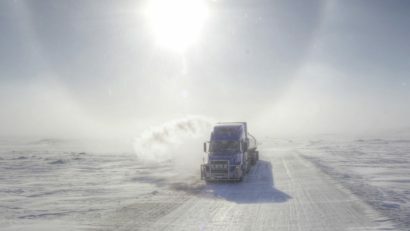 A truck driver can travel 16,000 to 25,000 kms/month (10,000 to 15,000 miles). The distance from the earth to the moon is 384,403 kms (238,857 miles). I’ve driven on icy or snowy roads the equivalent of the distance to the moon and back again and then some. Even with this experience, I’d still be considered a rookie to some of the drivers I’ve met in my career. 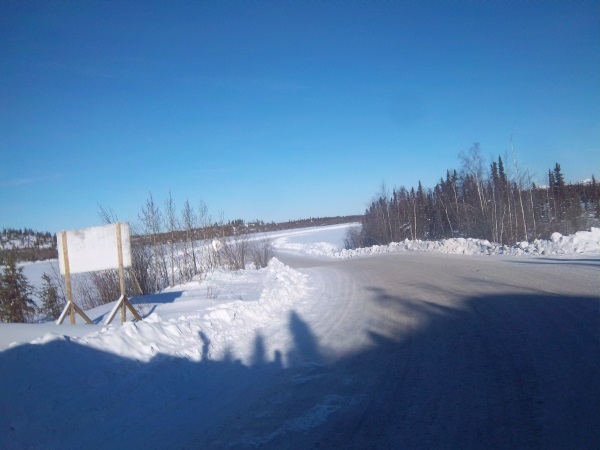 Winter in northern Canada can start in October and run through until as late as May, with November to mid April being the most challenging conditions. I’ve actually seen snow in every month of the year here. Snow in July or August may be rare, but can and does happen. 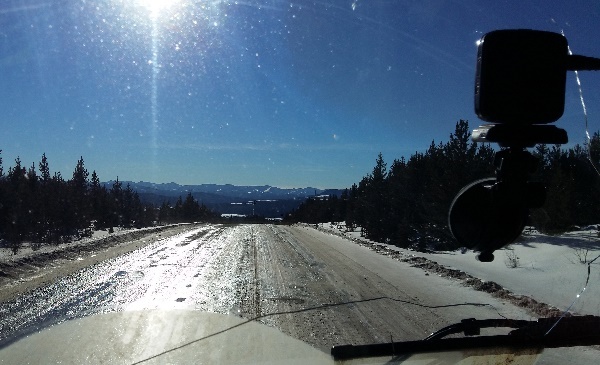 After a number of years of driving in eastern Canada, the Canadian Rockies, the Alaskan Highway and about 10 years off road on northern oilfield and ice roads, I’ve seen a lot. I was fortunate to have no accidents, because I didn’t drive like a professional my whole career. Snow didn’t bother me and I was quite comfortable driving high speeds on through bad weather. You build an immunity to it, but my comfort level was far too high for the conditions, and the other traffic. Now I look back and realize how dangerous It was seeing others driving the way I once did. 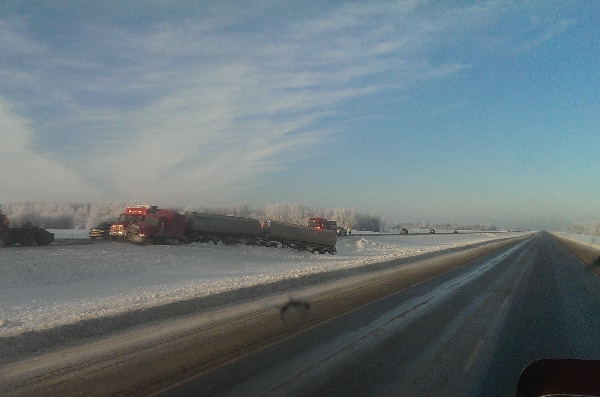 Trucking driving safety. Safe and professional driving is not just a skill. 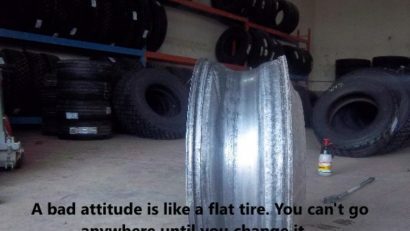 It’s an attitude. 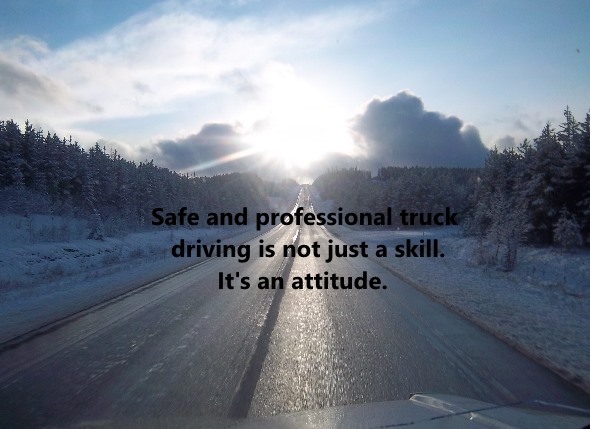 Do what you think is moral and right when it comes to truck driving safety, and not what others do. 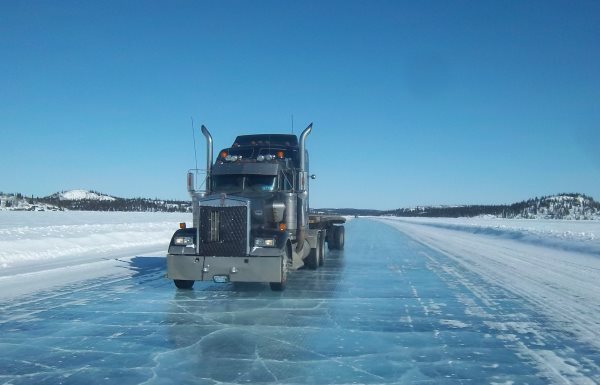 My Ice Road trucking experiences on the rough roads of the Northwest Territories are a great example of the problems I see with unsafe driving. 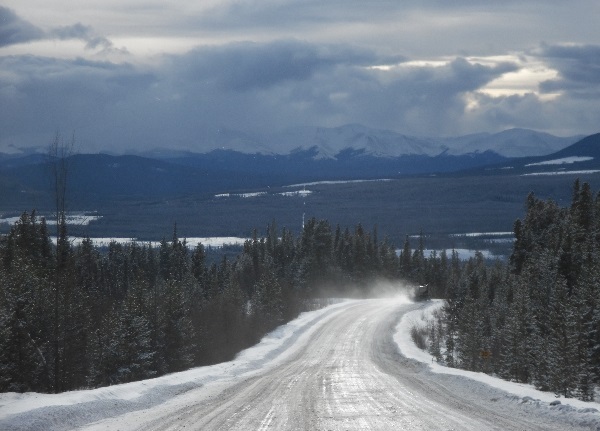 The speed limit on the Ingraham Trail was 70 km/hr with many of the bends marked at 50 or 60. There was also an S-curve section marked at 40 called the “Snake Pit” and other sections with loose gravel and rocks. I saw no value in traveling any faster than 60. There were only a few straighter smooth sections that you could roll along at 70 or higher. The problem I had throughout the season was keeping up with an overly aggressive convoy leader. It was easy to fall behind by as much as five or ten kilometers when you had a reckless leader pushing the convoy. I just let them go and catch up to them at the Meadows which was the first security checkpoint. What really concerned me was how new drivers would respond to this kind of pressure? There were too many drivers acting like they had something to prove instead of respecting the road, their equipment and the other users. From talking to other drivers, I wasn’t the only one that felt this way. 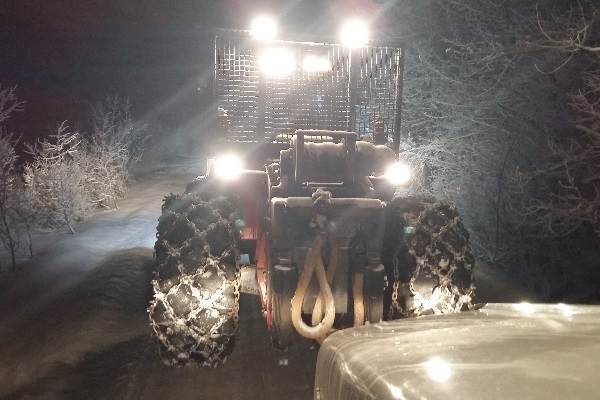 The majority of these complaints came from owner operators that respect their equipment mostly because they pay for the repairs. Your truck is your income. If the truck is down for repairs, you don’t make any money. 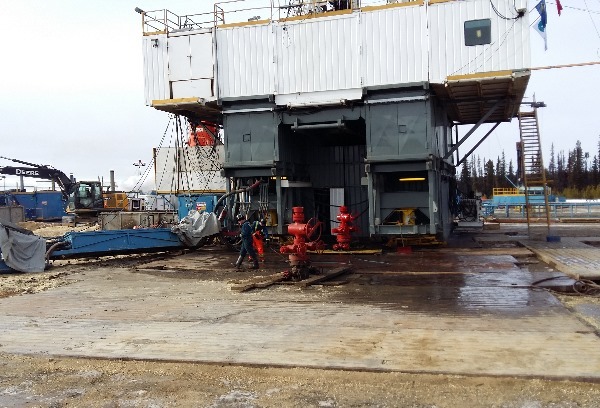 Pushing your equipment to the limit will eventually catch up to you; costing you time, money or worse. So, having the knowledge from driving experience helps these drivers to stay safely on the road and protect their equipment from possible damage. They’re driving safely and efficiently, or using luck (Labouring Under Correct Knowledge) to make the right decisions at the right time. I told you in the last section when I mentioned luck that something was still missing. This led me to research life teachings and philosophy, which in turn led me to Aristotle and Practical Wisdom.